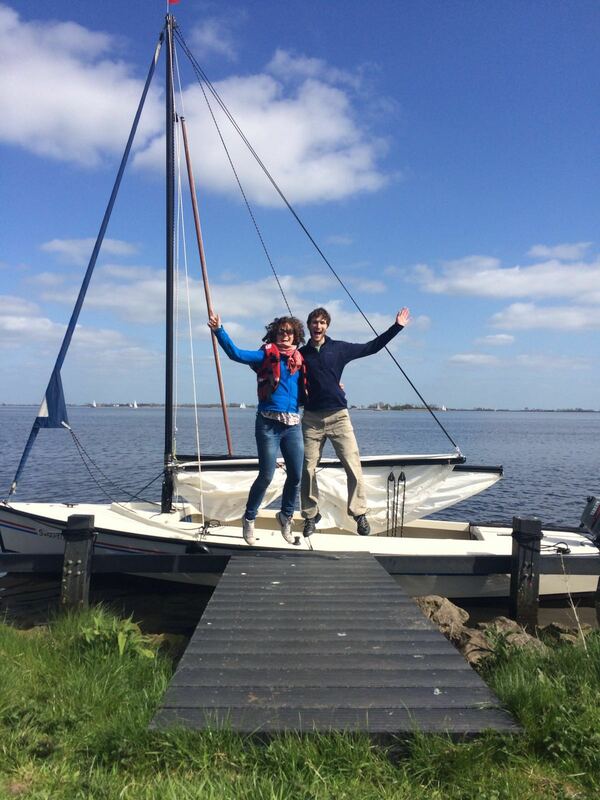 Last week, 120 of our PhD students and postdocs attended the Casimir Spring School 'Sun, Sailing and Science' in Heeg, Friesland. The keynote speakers for this sixth edition of our biennial organized school were Vadim Makarov (IQC, Univ. of Waterloo, Canada), Markus Aspelmeyer (Univ. of Vienna, Austria) and Thorsten Ritz (Univ. of California, Irvine, USA). During his keynote lecture on Tuesday afternoon, Makarov introduced to audience to today's quantum cryptography technology, and showed how to compromise its security by exploiting imperfections in engineering implementations. 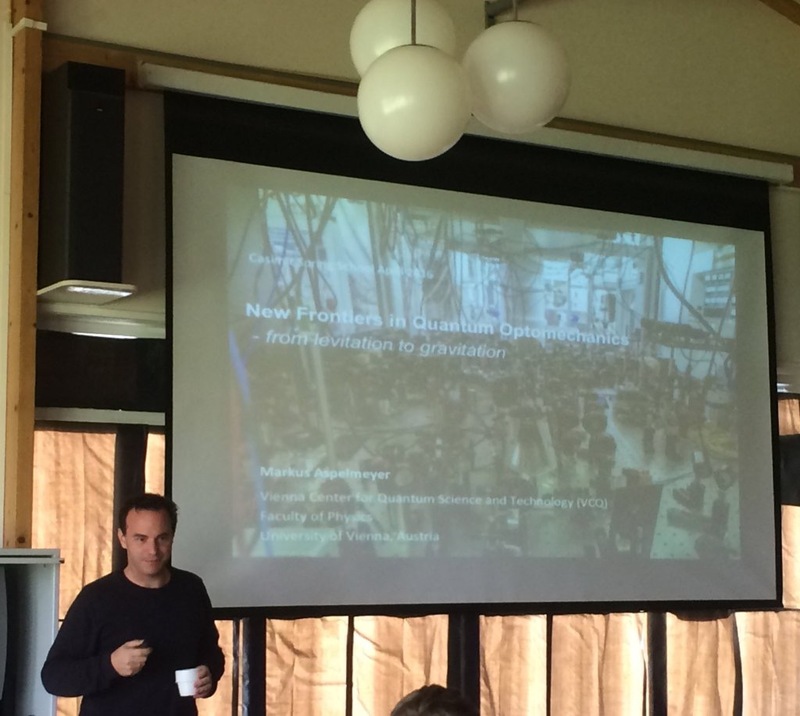 On Wednesday morning, Aspelmeyer elaborated on the new frontiers in quantum optomechanics. 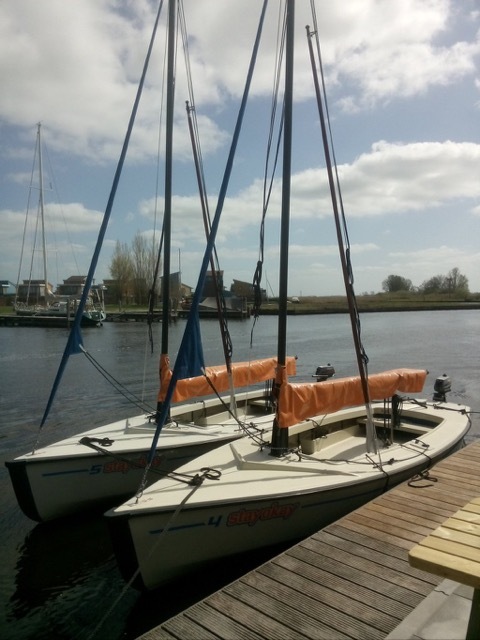 On Wednesday afternoon, all participants had the chance to go sailing in one of the 25 small sailing boats. During Ritz's keynote lecture on the third and final day of the Spring School entitled 'Quantum biology: from photosynthesis to sensory biology' quantum effects in biology were discussed. The PhD students and postdocs also actively participated in the Spring School, either by presenting a poster during the poster session on Tuesday evening or by giving a presentation during one of the lecture sessions. After a long debate, Casimir PhD Platform members Orkide Ordu, Julia Cramer, Sara Carozza, and Bob van Waarde decided that the poster prize should be awarded to Floris Kalff (Delft/QN, Sander Otte lab). 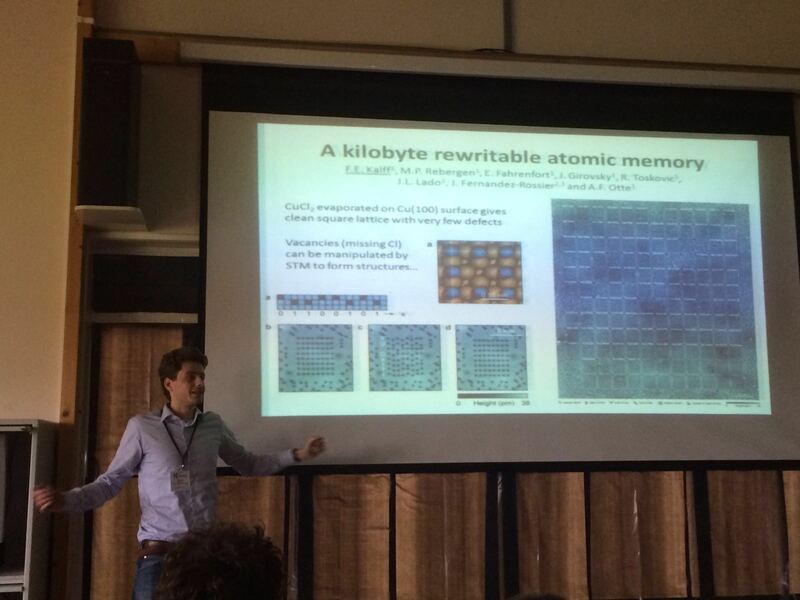 With just a single image, Floris illustrated their discovery of a kilobyte rewritable atomic memory. This year, the prize for best talk was awarded to two PhD students that both did an excellent job in explaining their research to the broad Casimir community: Vera Meester and Koen Schakenraad. Vera (Leiden, Daniela Kraft group) presented a new method to recycle colloidal aggregates into patchy particles of well-defined shapes. Koen (LION, Luca Giomi group) convinced the audience of the strong coupling between the organization of the internal cytoskeleton and the shapes and forces on the outside of the cell. Click here for all the photos of the 2016 Casimir Spring School 'Sun, Sailing, Science' in Heeg.